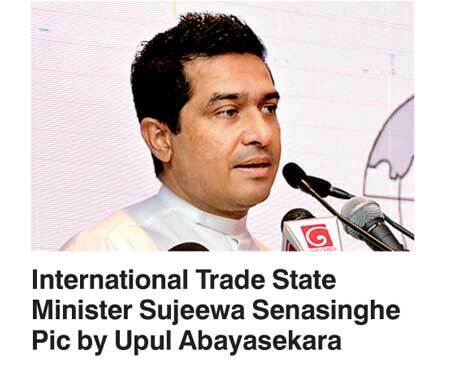 State Minister for International Trade Sujeewa Senasinghe backed the Board of Investment (BoI), rejecting statements it should be shut down, and charged Justice Minister Wijeyadasa Rajapakshe has “no clue” of the current status of the organisation. Senasinghe pointed out that the recent remarks by Rajapakshe that the BOI needs to be shutdown were made without knowing how hard the Government has been working to restructure the institute to attract much-needed Foreign Direct Investment (FDI) to Sri Lanka. “He does not have a clue what he was talking about. There is not a single BOI registered company releasing goods for the local market. These were some other companies we were talking about at a group meeting. I think he was informed correctly, but understood in a wrong sense,” Senasinghe told the Daily FT on Friday. Rajapakshe speaking at the Sri Lanka Economic Summit last week alleged BOI registered companies were releasing goods to the local market and disrupting local traders. He also claimed such BOI registered companies were “destroying local entrepreneurs”. The State Minister asserted that they had appointed a three-member committee which includes Sarada de Silva, Fazal Mushin and Dhara Wijetilleke to investigate Rajapakshe’s remarks and submit a report within this week. “He has no clue about what we do at the BOI. With the support of the Harvard University team, we are restructuring the BOI and it is going to be a totally different place in two months,” Senasinghe assured. Senasinghe is confident of reaching an export target of $20 billion by 2021 bolstered by GSP+ along with the industrial zones that will be set up across the country to increase FDI-led exports.